What's the Role of Interactivity in VR Game Development? 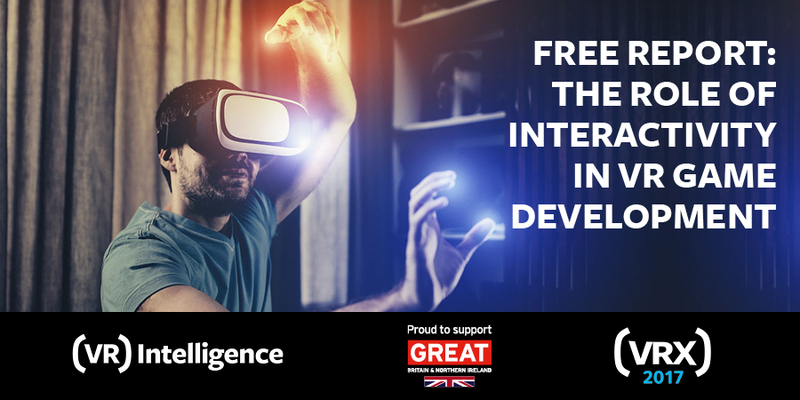 In anticipation for the upcoming VRX Conference in San Francisco (Dec 7-8), VR Intelligence and the UK Dept of Trade & Investment have collaborated on a new report. 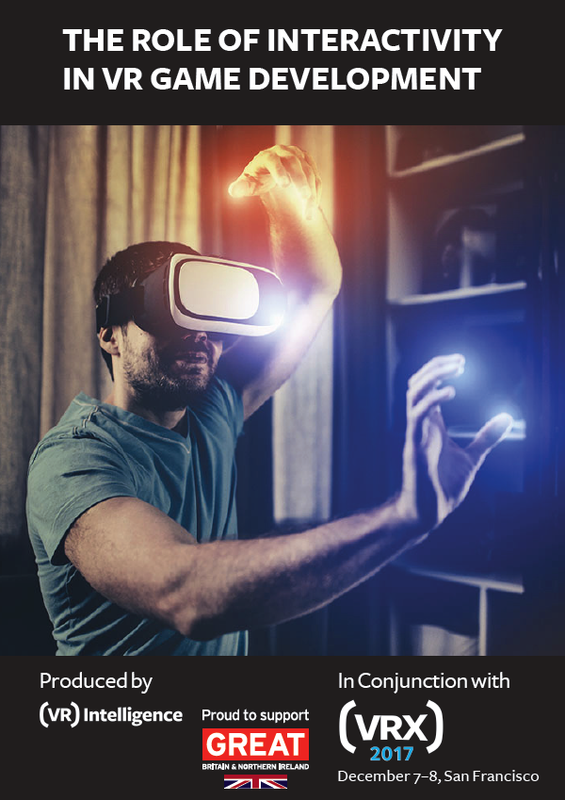 Entitled The Role of Interactivity in VR Game Development, the free report provides an in-depth look at the challenges and opportunities of interactivity and creating presence in VR game development and virtual worlds. What can be done to drive increases in character and object interaction and how to take advantage of new technology advances, like eye and motion tracking? The free report can be downloaded here, and VR/AR Association members can contact us for a 15 percent discount to the VRX Conference.